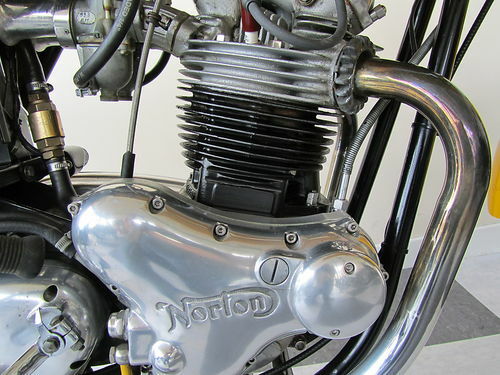 Norvil is a company that started out as a parts supplier for your Norton Commando. They have evolved to a point where they will remake your Norton Commando into something so much more. Along the lines of Dunstall, Norvil has developed major engine components, suspension and braking componants and body parts to create a NEW Commando. 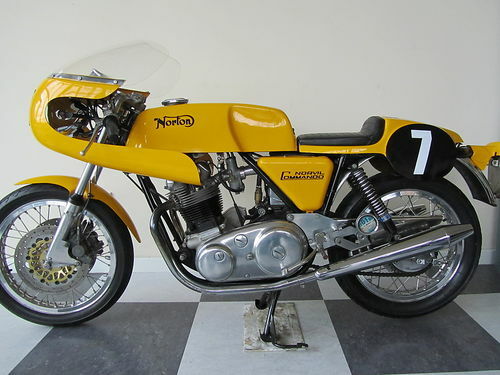 This 1971 Norton Racer offered over at UK eBay has gone in one end of the Norvil shop and out the other. 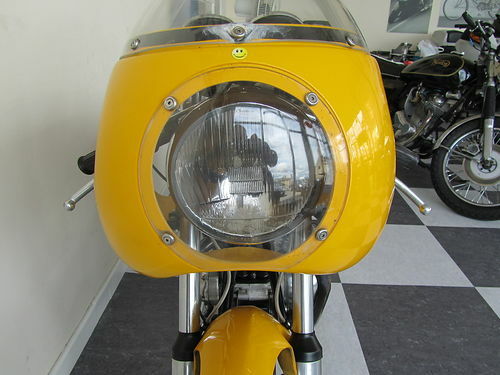 What Norvil does is start with is your Commando, in this case a 1971 750cc Commando. 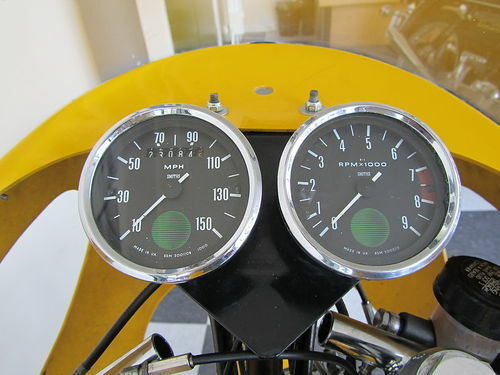 From the factory it would have produces numbers like 58bhp at 6800rpm. As the bike comes out the other side it now produces 64hp at 5800rpm from 920cc. 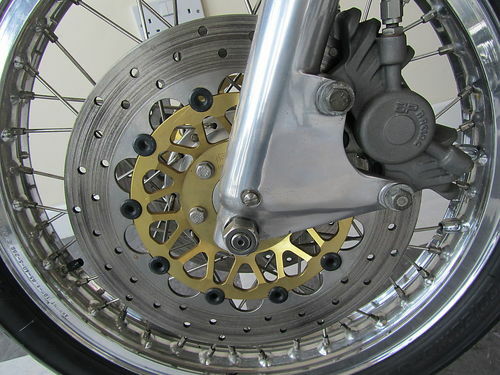 The lower rpm are likely the limit that the larger diameter pistons can travel on a stock stroke. Starting life as they all did in 750cc Commando form. This bike has undergone it’s transformation in 2004. Fitted with a Norvil 920cc race motor, and other parts at a cost approaching £10,000.00. In fact the motor stills requires running in. The bike also carries the superb Norvil twin front disc brake conversion with Lockeed Racing Calipers , Alloy rims shod with Avon sticky rubber take care of the grippy end of things. The Norvil moulded body kit completes the look, getting the rider sat well into the bike. Without doubt a rare motorcycle with stunning performance to shame many modern bikes. It will make a blue chip investment increasing in value while giving it’s new owner many hours of pleasure.